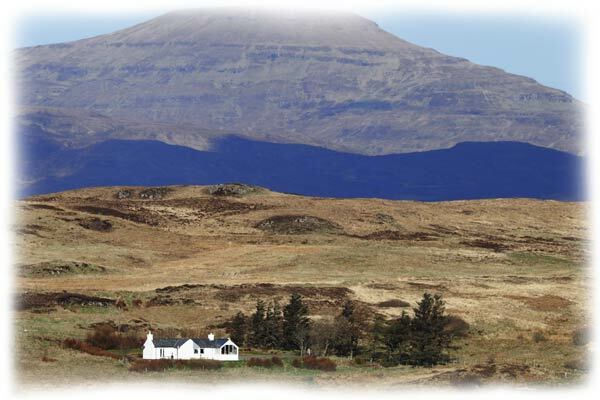 Previously a crofting cottage, Apple Blossom now provides a luxury "home away from home" on the Isle of Skye, ideal for romantics, friends or small families, a maximum of 4 guests. Apple Blossom Cottage is strictly No Smoking throughout, and no pets are allowed. 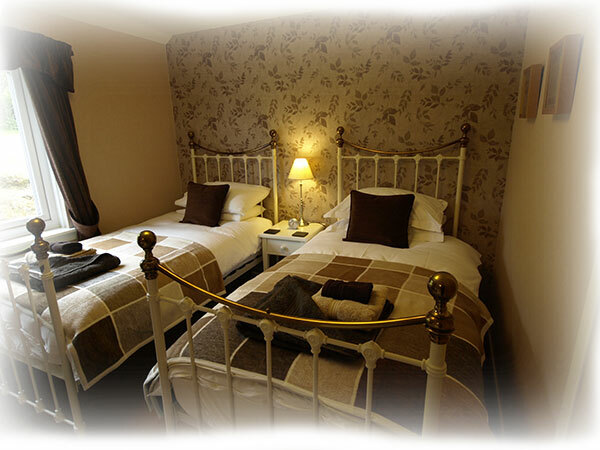 1 beautifully appointed Double bedroom (double bed with Tempur bodyforming mattress for that perfect night's sleep! 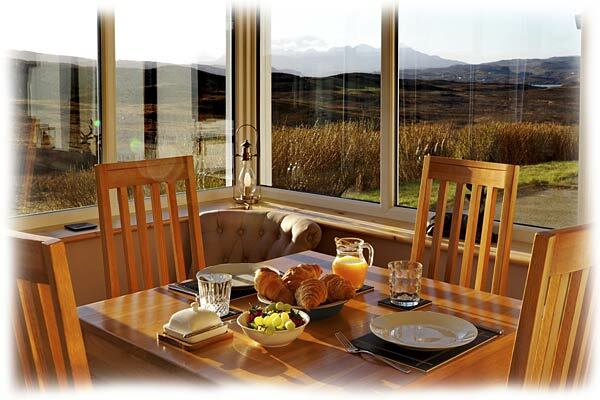 ), with French doors leading on to a pretty patio area - enjoy an al fresco breakfast with your own personal mountain vista! 1 elegant Twin bedroom (2 single beds, again with Tempur body forming mattresses! ), with an attractive outlook to the rear garden and the cottages 2 Apple trees. Also a good viewing point for Rabbit watching! 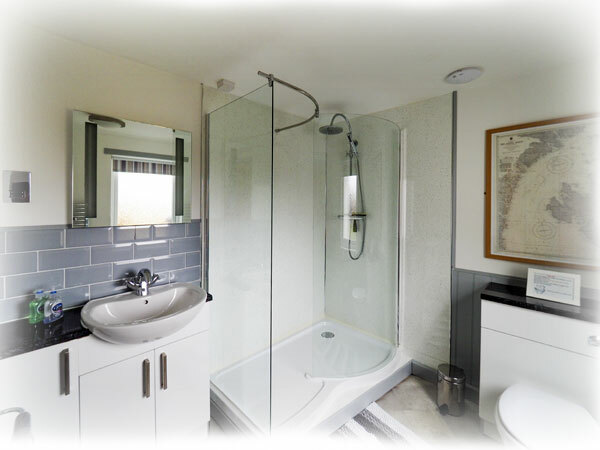 A luxuriously designed Bathroom with spacious shower unit and heated towel rail. A cosy Hallway with a softly lit alcove, bookcase complete with walking & tourist guides, maps, & a selection of CDs and DVDs. A warm and welcoming Entrance Porch with attractive monks bench (containing the cooking utensils for the Chiminea and a selection of board games) and storage for both coats, shoes and more importantly on Skye, those walking boots! Also included is a telescope for watching the impressive array of wildlife in the valley. With our guests in mind, we've created a notice board here where you will find useful information, leaflets, business cards, local restaurant menus etc. 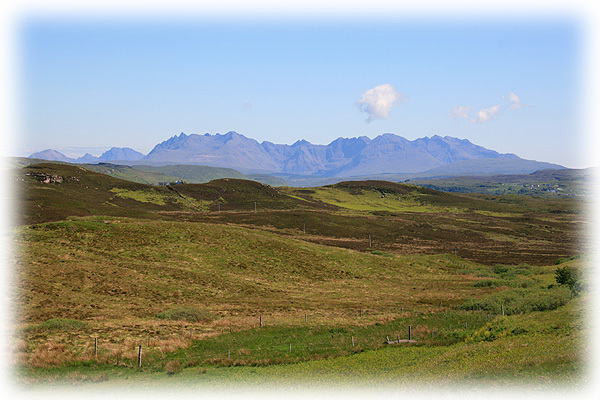 to help you get the most out of your stay on Skye - please feel free to add anything to this board that you discover and think future guests will enjoy! The Living room sits right at the heart of Apple Blossom, with an unbelievably comfy suite, a 32" LCD TV with Satellite TV PVR, DVD player & Bose Wave Music System, free Broadband connection for your own laptop and free UK landline calls up to an hour, (other calls are at BT tariff and charged accordingly at the end of your stay). To avoid charges just hang up and redial before the hour is up! 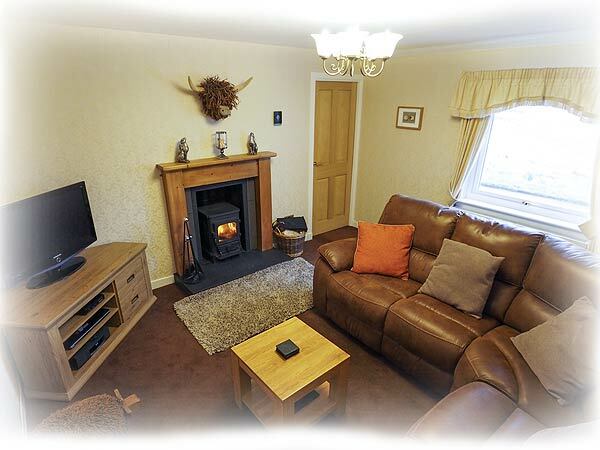 Additionally, you can curl up in total comfort in front of the "Squirrel" wood burning stove which provides a lively and warming focal point if the weather turns a bit chilly. Deluxe Espresso/Filter coffee maker with steam nozzle for frothy milk! 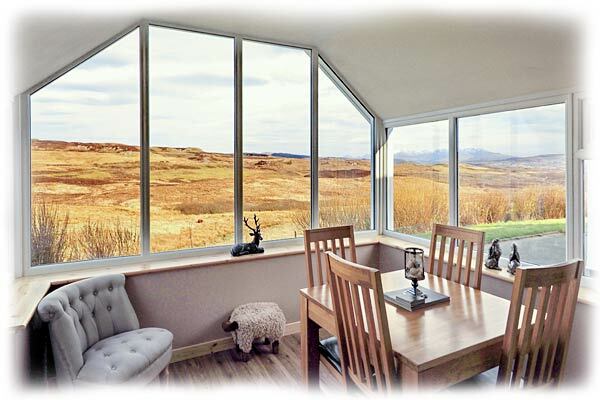 Leading off from the kitchen is the comfortable dining room with stunning views over the surrounding countryside to the Cuillin Mountains. 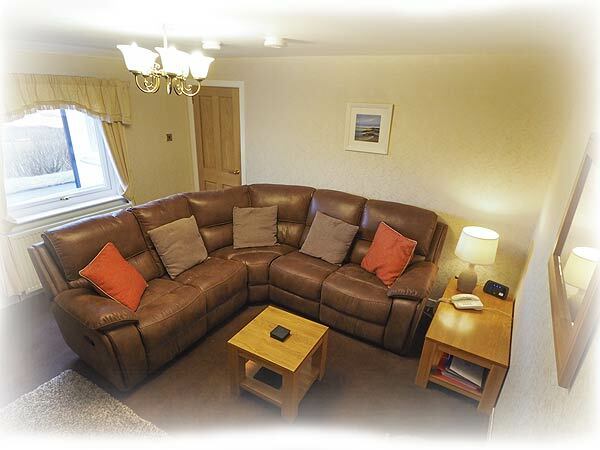 As well as the dining suite there are also 2 comfy chairs to sit and admire the views from, or to simply sit and relax. 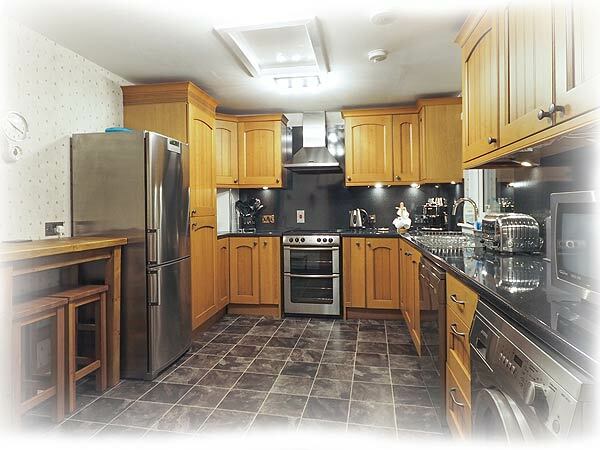 Within the Cottage grounds we provide guests with a large tarmac parking & turning area (with motion sensor lighting for guest safety), a pretty patio area (with clay Chimenea for al fresco cooking, along with a picnic table), and a large grassed area where you will find our 2 Apple trees. Please note that due to the cottage being within an active crofting community, we kindly request that fireworks or Chinese lanterns are not set off within the cottage garden. laundry liquid, surface cleaner & liquid hand soap. A basket of logs with kindling and firelighters for the stove. All electricity and gas usage. The heating and hot water is provided by a Gas Combi system, so our guests have a convenient, constant supply of hot water! To check Availability & Tariffs click here! During the High Season bookings are for 7 or 14 nights, arriving & departing on Saturday. During the Low Season bookings are for a minimum of 3 nights, with negotiable arrival & departure days. We kindly request that guests arrive no earlier than 4pm and depart no later than 10am, to allow us to clean & prepare the cottage thoroughly for our next guests. For all tariffs, including seasonal changes, please check out the Availability Calendar using the blue link above! 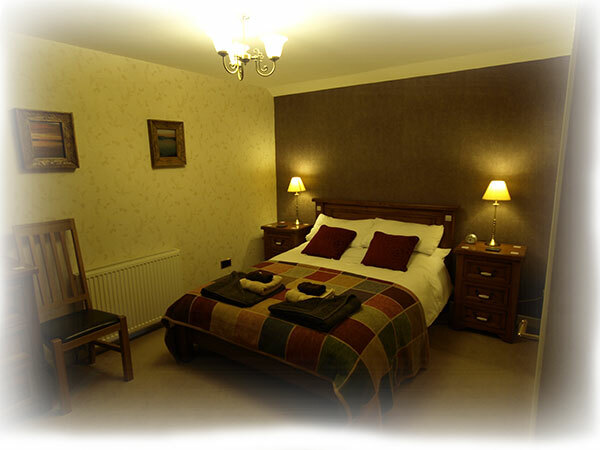 Full name, home address, telephone number & email address for guest paying the deposit. The full amount is required no later than 8 weeks prior to arrival date and again this will be non-refundable**. **If we are able to re-let the cottage following a cancellation, we will refund any payments made, although £50 will be deducted to cover administration costs. We highly recommend that you take out holiday insurance in case you unfortunately need to cancel your booking. We will email (or write & post) a full confirmation of your booking once the initial deposit has been received. We are always happy to answer any questions you may have about the cottage or your booking - if we are unavailable to answer the phone immediately, please do leave a message and we will return your call as soon as possible, or alternatively, send an email.